Spring is always a time of year known for clearing out your cupboards and getting all organised. For me however it’s often just something pretty I see (whatever time of year) that will set me off on a mission to change something for the better. 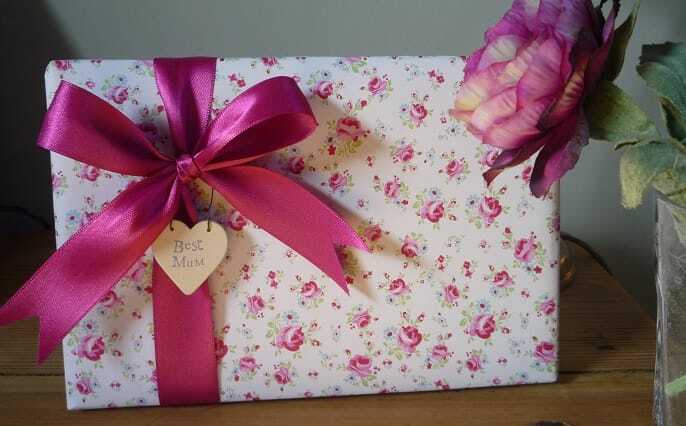 In this case, it was as simple as finding this beautiful pink floral wrapping paper for our More Pretty Things customers to buy for their mothers day/spring wrapping projects. I was inspired as soon as I saw it, with its vintage look and quality feel it would be a shame not to use it in the house somewhere. So, after doing some wrapping with it myself (above), I had a cunning plan that would allow me to use it somewhere I’d have the pleasure of seeing it often! Cut to size and sprayed with some of my favourite smelling room spray then left for a few minutes to dry (to ensure no colour run from the paper) and hey presto…..A beautiful looking and smelling drawer liner! Just add freshly laundered fluffy towels and visit on a regular basis to delight in its loveliness!